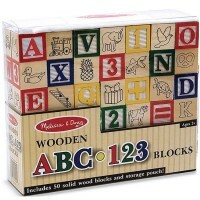 Featuring vibrant colors and whimsical illustrations of animals and letters, this set of baby blocks will become one of your little one's favorites. 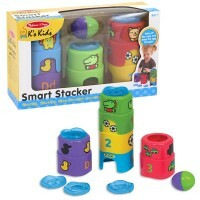 Grab it, squeeze it, stack it, and knock it all down! 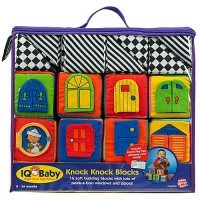 IQ Baby Squeeze a Lot Blocks are fun no matter how you play with them. 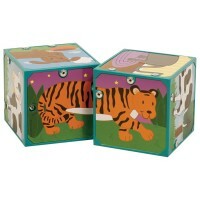 Featuring vibrant colors and whimsical illustrations of animals and letters, this baby blocks set will keep your child engaged for hours. 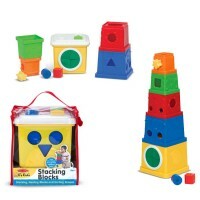 Educational Toys Planet offers this quality baby block set as a great way to enhance motor skills, coordination, building skills, and even early literary development. 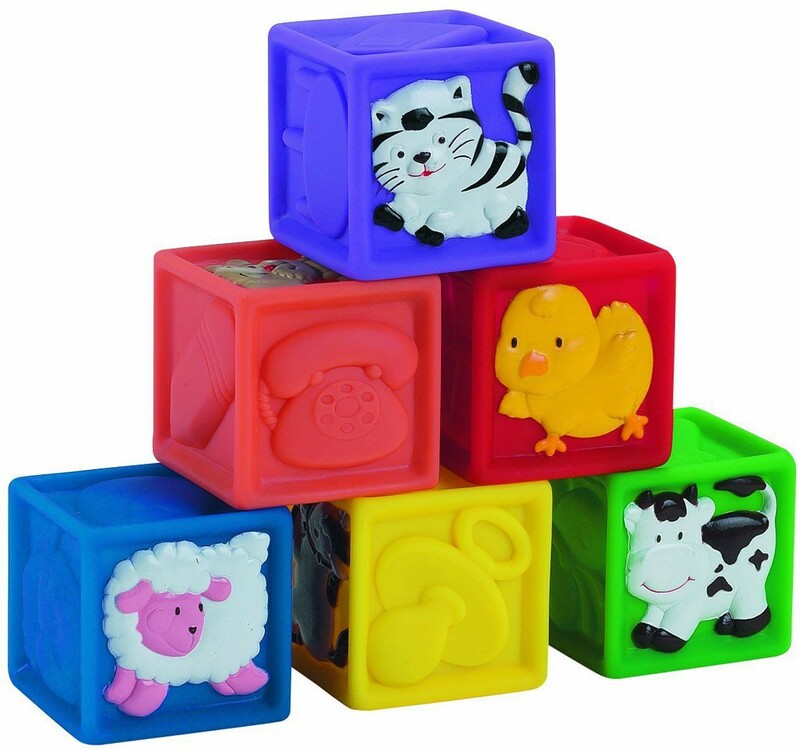 Made with soft, lightweight, and extremely safe materials, Squeeze a Lot 6 Baby Blocks Set is easy to handle and feature surfaces that can be easily wiped down. 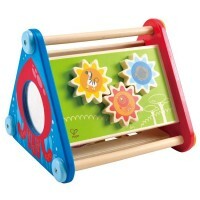 The raised, easy-grasp edges make these play blocks perfect for even the youngest children with the tiniest hands. 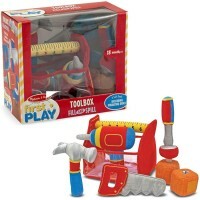 Calling all young imaginations, its time to build sweet towers of fun! 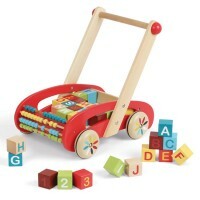 Each baby block's side is 2.5. 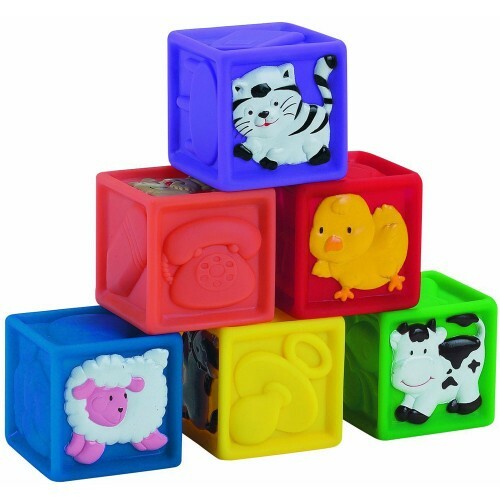 Write your own review of Squeeze a Lot 6 Baby Blocks Set. Rating: 4 by Katie, VA The like the raised textures for tactile learning and amount of pictures you see vs. just plain colored blocks. 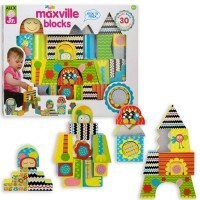 Rating: 5 by Seth, NH great classic baby blocks. 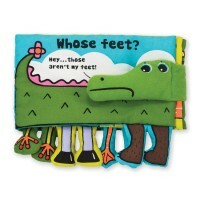 glad that i found them.